Physical therapy with Arete Rehab isn't only for injuries, but can be a non-drug treatment that improves strength and endurance for pain associated with arthritis, cancer, Parkinson's, and even incontinence. 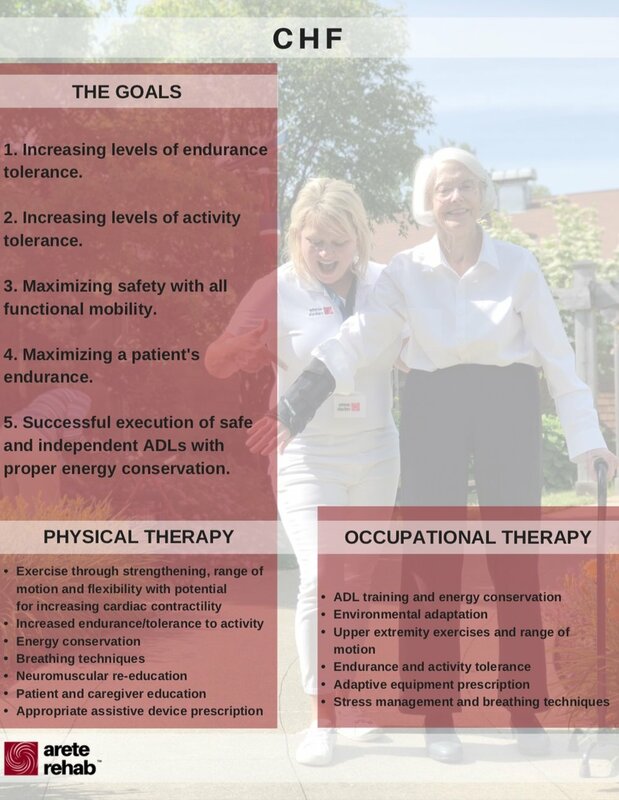 Occupational therapy with Arete Rehab promotes health and quality of life while supporting aging in place and preserving meaningful roles and occupations. Arete Rehab's therapists promote engagement in managing both personal health and wellness, while maintaining and increasing participation in meaningful occupations. Recommendations can also be made for adaptations and modifications to maximize independence and safety. Arete Rehab's speech therapists work to assist in differentiating between normal aging and disordered communication or swallowing function. Speech therapists provide services to those individuals who have communication, cognitive or swallowing impairments following illness, trauma or disease. Speech therapists also play a role in preventing communication and swallowing disorders by promoting a healthy lifestyle and educating consumers about how to prevent stroke and other disorders that may lead to impairment. 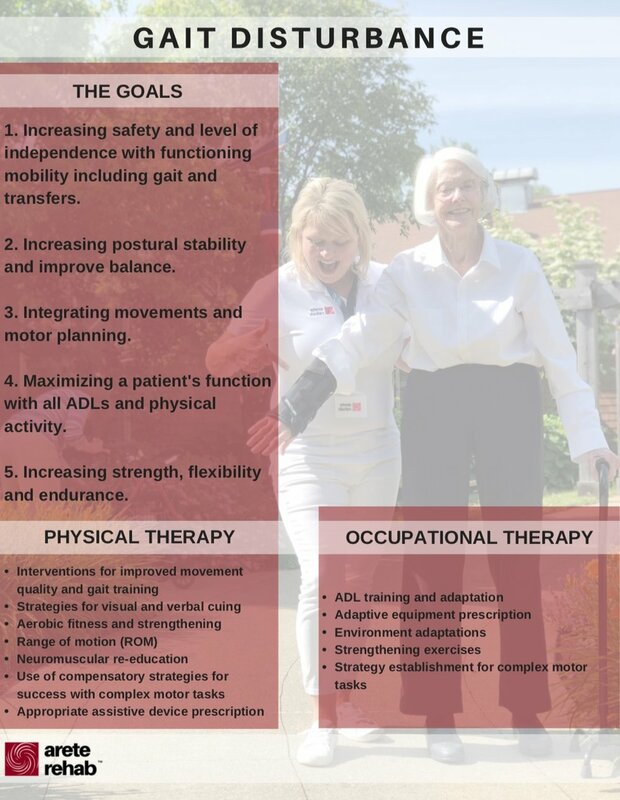 Click on a condition below to see how rehabilitation therapy with Arete Rehab can change your life. We’ve got your back and provide clinically excellent care in our clinics, in your community or in the convenience of your own home — to help keep you where you want to be. To inquire about how we can help you or a loved one, please call 855.390.7774 or e-mail us using the button below.